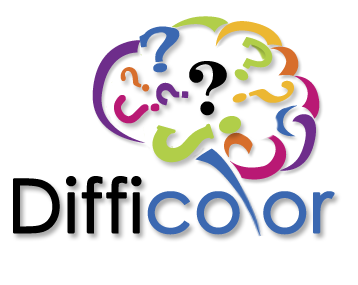 April 1, 2016: Seattle - DiffiColor announced - a new software product that is geared toward the color consultant industry. CHROMiX, Inc. announces a new product intended to improve support and consulting opportunities worldwide. "Color consultants are traditionally in a hard place in the industry," said Steve Upton, president of CHROMiX. "They come into a printing company, and once they fix the color problems, they are basically out of work." To fill this need, CHROMiX has introduced DiffiColor. This is a revolutionary new profiling product has a complicated user interface making it almost impossible for the uninitiated to navigate the process. "Our team has spent countless hours adding confusing language to the help menus, misleading labeling, options that do nothing, and dangerous checkboxes left on by default." "Color management has been steadily improving over the years" mentioned Upton, "and it seemed time to shake up the market." DiffiColor introduces new terminologies such as chromack, telnor, spront and delta-P into the color lexicon. What they actually mean is anyone's guess. Difficolor's system requirements are enough to make even the biggest propeller-head squirm. "We knew that requiring a Newton MessagePad 120 might tax some users" continued Upton "but that puppy rocked! And if you can find one on eBay, the pricing is actually pretty good"
Adding DiffiColor to any client's workflow is guaranteed to increase consulting and training revenue. "Think you understand your color? THINK AGAIN!"